We hope you’ve all enjoyed your time off over the holidays and new year. Now that you’re back at work, we want to aget back into our old habit of posting our weekly picks again. So, enjoy! There comes a time in many businesses, where having an external drive just isn’t enough. Whether you need to store files at a central location for a team, provide a backup solution for multiple Macs or you just need a bigger amount of storage, as NAS (Network Attached Storage) system is almost always a good investment. A NAS is basically a small, inexpensive PC running some sort of Linux system. 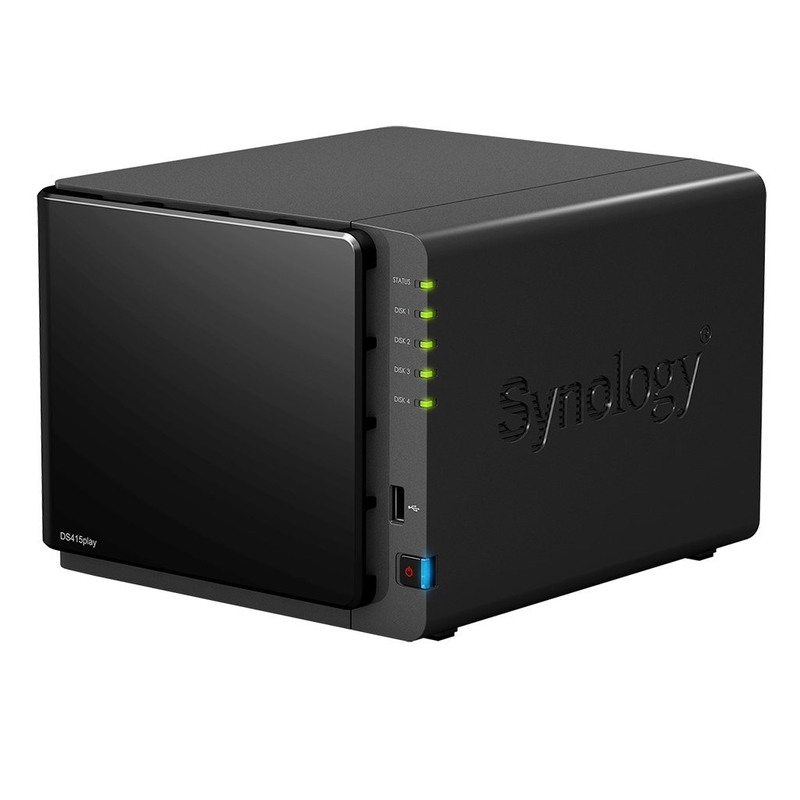 Personally, I prefer Synology’s products, although there are other options out there. They are easy to maintain (even for people who don’t have a CS degree), very stable, very powerful and relatively inexpensive. You can by them pre-stocked with hard drives or install your own drives. I’d suggest buying one of the 4-bay models even if you don’t need as much space right away. You can start with one or two drives and add more as you need them. The DS415play I bought a few months ago is designed to serve as a media server and has a dedicated chip to enable hardware-supported video transcoding. It’s one of the more expensive devices made by Synology so if you don’t need that kind of power, one of the other devices might suffice. With the imaging capabilities of the iPhone constantly increase so does the want for a paperless society. We have been long chasing the dream but for most of our efforts, dollars and countless attempts at learning yet another paperless app we have been left wanting. Enter Evernote, a company with what looks like a single focused mission to get us to the promise land. Evernote is a second brain kind of store all your stuff here application and over the last two years they have increased Evernote’s usability because of some pretty awesome capture documents by camera technologies. It just got even better with my pick for this week, Evernote Scannable. There are many scanner apps out for the iPhone and iPad and only a hand full of them are worth a damn. Scannable fits in the holy $%#@ Batman this is awesome category. Scannable scans Multi-page, Documents, Business Cards, Receipts and even controls the Evernote version of the Scan Snap. The most killer feature is the price of FREE. I really wish it controlled my ScanSnap ix500 or my ix100 but that seems to be a software thing they can add later. Go download Evernote Scannable and tell us what you think.